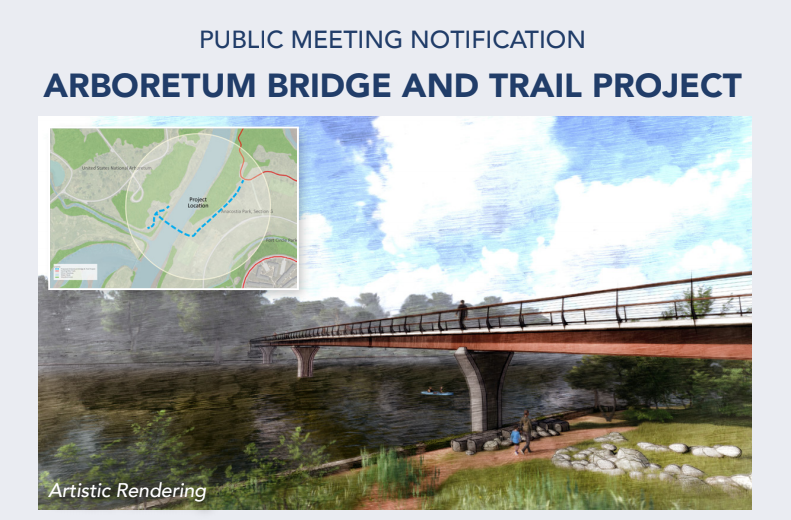 The District Department of Transportation (DDOT) invites you to a public meeting on Tuesday, January 29, 2019 (Ward 5) and Thursday, January 31, 2019 (Ward 7) to discuss the Arboretum Bridge and Trail Project. DDOT will present design concepts and gather comments from the community at this public meeting. Click here to see the flyer with more details.